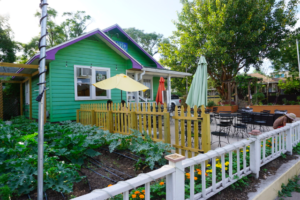 The Dandelion Café, located in Orlando, Florida, uses sustainable practices to support local business and provide their patrons will healthy and delicious food. The café follows three simple guidelines, which they say are their first steps towards “Saving the World.” The steps include “Cultivating an enlightened, vibrant and healthy community; Nourishing bodies, minds and spirits; and lastly: promoting the mindful practice of simple, honest, and sustainable living.” If you are looking for a way to transition to a healthier lifestyle, this is the perfect start. To read more about their mission and to see their menu check out their website! Infusion Tea Café is a local café specializing in loose leaf teas and vegetarian food. The affordable café is a local favorite and provides its patrons with an inviting environment and an endless amount of teas. When selecting a tea, don’t hesitate to ask for help! 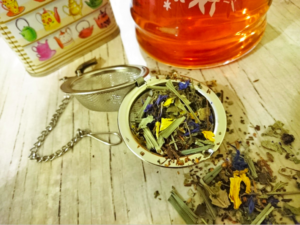 They are more than happy to help you choose the perfect tea for whichever mood you may be in. In 2015, the café was voted the best locally owned business and best place to get a healthy meal. The Café’s website is full of more information on their business, which goes way beyond their delicious teas and food. A common misconception is that vegetarian and vegan food lacks flavor and creativity, Chelsie and Jamie Savage are here to prove us all wrong! Each item on the menu is carefully thought out, made from scratch, and prepared from the best, mostly organic, ingredients. 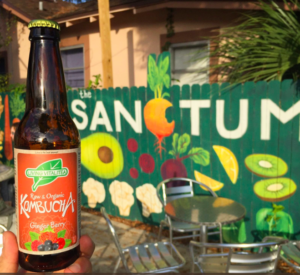 The Sanctum partners will many organization and businesses to help keep their dreams alive, and to help support other local and sustainable businesses. Check out their website to learn more about their delicious and affordable meals. You may have heard of this environmentally conscious company. Origins Natural Resources prides itself with only using the best ingredients in their products. All products are free of parabens, formaldehyde, and animal ingredients, other than cruelty free honey and beeswax. 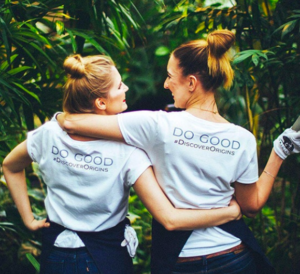 To further their positive environmental impact, they support reforestation projects which have already planted over 820,00 trees around the world. Additionally, the company plans to have a net zero carbon emission by 2020, and is working towards that with their use of wind energy to power the manufacturing process. You can even find an Origins location here in Orlando! You can also shop online, and either way your product will be packaged in a 50% post-consumer recycled content carton. Acure is a skincare company based in Fort Lauderdale Florida. The organic company does not use parabens, sulfates, formaldehyde, paraffin, mineral oil or animal testing with any of their products. Additionally, they support multiple environmentally related charities including Turning Green, which is a student led movement focusing on education and “advocacy around environmentally sustainable and socially responsible choices for individuals, schools, and communities.” If you’re looking for a new sustainable skincare routine, it is defiantly worth it to check out this affordable and sustainable skincare company. Although there is no store located in the Orlando area, you can purchase the products online, or find them at TJ Maxx! 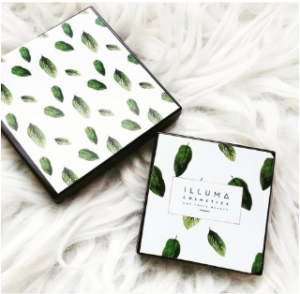 Illuma cosmetics is an independently owned company located in Orlando. Owner Amanda Cara provides her consumers with a variety of organic products. The motto “less is more” is found throughout their website. With minimal packaging and USDA certified organic ingredients, Cara and her clients are living a sustainable lifestyle. In addition to the local shop, there is also an online website with much more information!